These real estate teams have taken over their city’s real estate market by further enhancing their presence on social media. 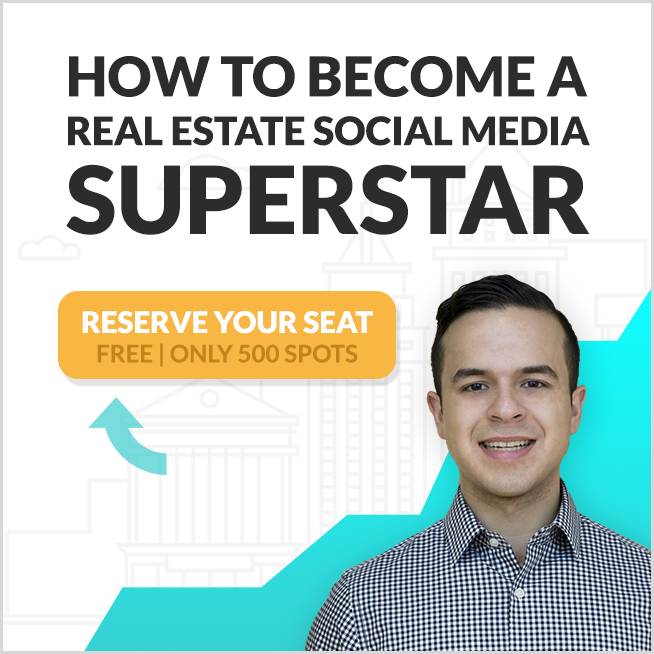 We’ve researched hundreds of real estate teams’ social media channels and went through a certain process to select the best. We began with finding real estate teams through different mediums and then looked at objective data regarding the real estate teams’ social media presence across various social media channels. Lastly, we made sure that all the real estate teams who made it to the final list have a great social media presence based on subjective variables. With that said, we present to you the Top 100 Real Estate Teams On Social Media In 2018! Scarlett Chan and Craig Cope sure do make a compelling team. 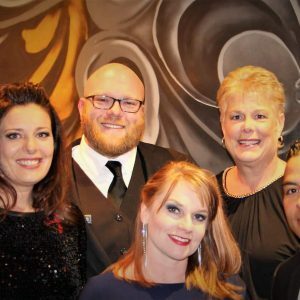 They serve their clients with honesty and integrity, they have won several awards as well, and their success has made them to being lifetime members of “The Million Dollar Club”. Their exceptional service is highly recommended! Team Borden is a competent, caring and professional group. If you ever need a group of amazing individuals to take care of your real estate deals, reach out to them and they’ll go above and beyond for you! Take a look at their awesome social media pages! 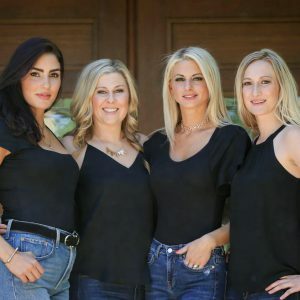 From the reviews they receive from their clients, it isn’t hard to tell that The Anne Marie Kerezsi Real Estate Team provides the most amazing experience possible to their clients. They make sure you get the most personalized and professional service, and their devotion can be seen through their wonderful reviews. Do not miss out their page! 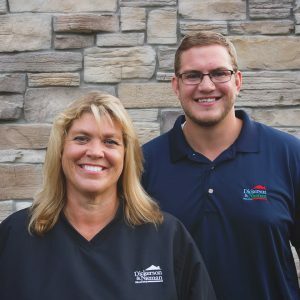 As a family-owned business, The Ward Team take care of their clients like they are family. Their listings are equally exceptional, the beautifully-structured homes combined with charming neighbourhoods make them anyone’s dream house. Feel free to visit their Facebook page for further details! 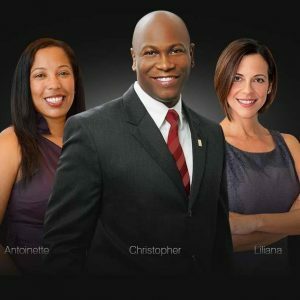 Christopher and his team are a group of knowledgeable experts with a high level of community engagement. Furthermore, they make sure they guide their clients through the entire process and nothing is left unexplained. Even better, their luxurious listings are captivating and a must-see! 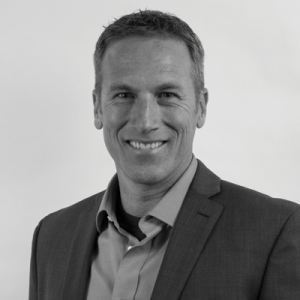 Dean Philpott is a truly experienced real estate agent packed with rich market knowledge. Along with his brilliant daughter Kate Philpott, they make the most dynamic father-daughter duo. 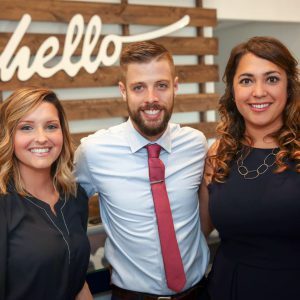 This fun-loving team never misses out on their positive and cheery attitude when serving a client. Check out their listings and you will be left with no words! 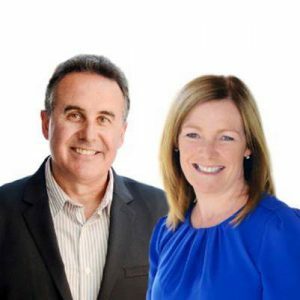 Jerry and Rachel are both award winning real estate agents with excellent knowledge and skills to guide their team. The team has gorgeous listings and interesting blogs regarding LA real estate on their page. Make sure to browse their page! Mark and his team bring their professional approach and endless commitment into their service. There’s no doubt that they put their clients’ satisfactions as their top priority. If you want a team that is fully devoted into their job and your happiness, reaching out to this team is a good idea! PRIME Real Estate Team indeed consists of marvellous real estate agents! They are attentive, careful and always seek to give their clients informative advices and the support they need. In fact, the team is precisely your imagination of qualified real estate agents. Check them out on Facebook! 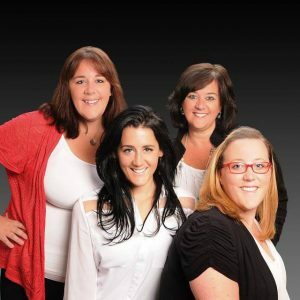 The Ace Team is totally the team of real estate agents you want to work with! They make sure you get an easy and enjoyable experience by guiding you through every step of the process. Their page is filled with stunning home listings and informative blogs, it is absolutely worth checking out! 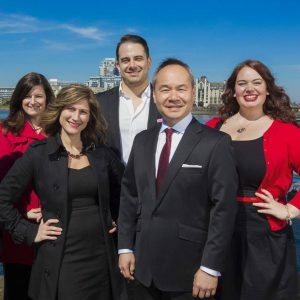 You will be stunned by the team’s home listings when you scroll through their page! 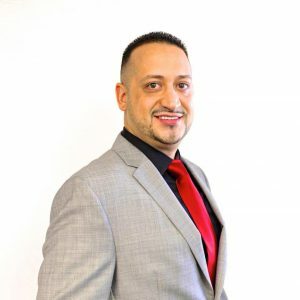 There’s no doubt that the team leader Andrey Bustamante is an experienced real estate professional who was awarded for his hard-work and knowledge. 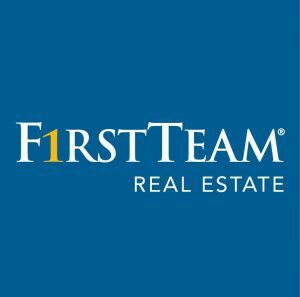 Andrey and his team are the real estate team you’ve been looking for! Traci and her team achieve great teamwork. 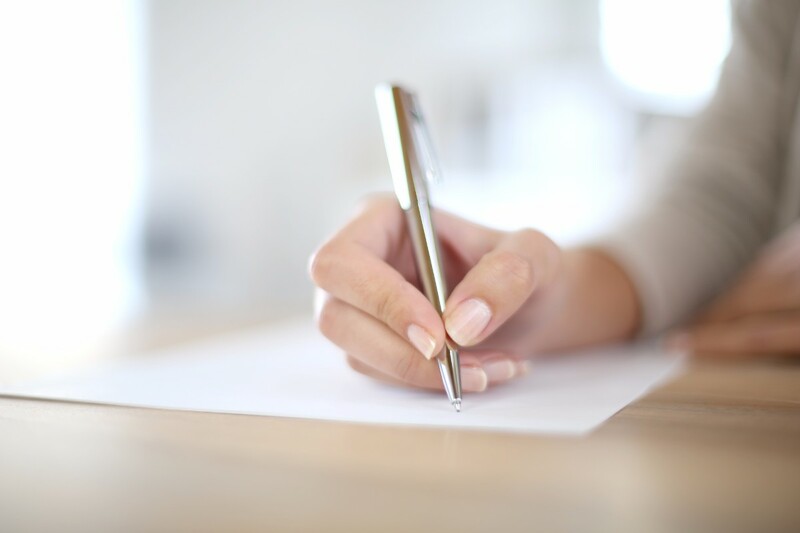 Their clients describe them as extremely knowledgeable, communicative and a pleasure to work with. 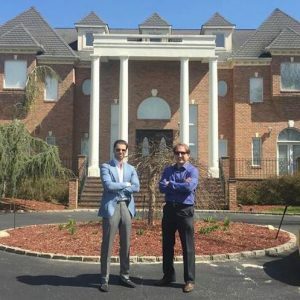 The team strives to make the buying or selling experience as delightful as possible, no wonder their reputation in the real estate world is beyond excellent! 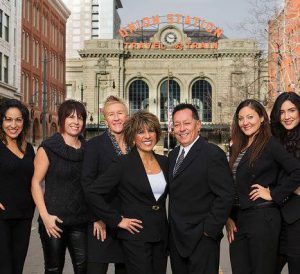 As an award-winning and one of the top-producing Denver luxury home specialist team, Team Denver Homes is extremely innovative, they never miss out on the latest technology and marketing strategies. You can count on them to find the most ideal real estate deal for you! Visit their Facebook page now! The members at Team Koki are fantastic! The team leader, Koki Adasi is known for his real estate expertise on big media outlets. 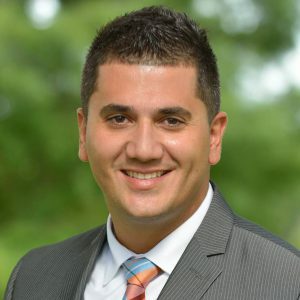 He was featured on the Realtor Magazine ‘30 under 30’ and elected as the president for the Greater Capital Area Association of Realtors. Could you ask for another team of ultimate professionals? The Wellman Team have high expertise in marketing and are specialized in various types of properties. By looking at their page, it is evident that they know what they are doing. Their home listings consist of exquisite-looking homes in beautiful neighbourhoods! You can also find real estate related posts on their amazing Facebook page. The AJ Team never stops providing their clients with a stress-free experience, they always put them into ease and make sure they feel welcomed and informed about every step of the process. There’s no question asked about their professionalism and dedication, just by looking at their over 57 five-star reviews on Facebook. Sheila and Jonathan are a hard-working pair. They are genuinely understanding and don’t ever pressure their clients into making undesirable decisions. Thus, their clients keep coming back or recommend the team to others, not to mention their perfect reviews on Facebook. Contact the team today for professional advice! 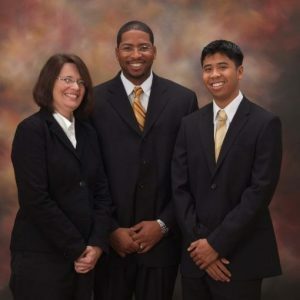 The Canady Team set the bars for professional real estate services! They are a group of experienced professionals who value their clients’ needs and requests as their top priority. Check out their Facebook page for the latest updates on home listings. Both Robin and Todd put genuine efforts into their job. Their clients often say they are communicative, responsive and overall a pleasure to work with. Likewise, their listings are as great as their services. Browse their page and discover their wonderful offers! 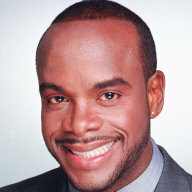 The Prime Time Home Team make themselves approachable, personable, and attentive. 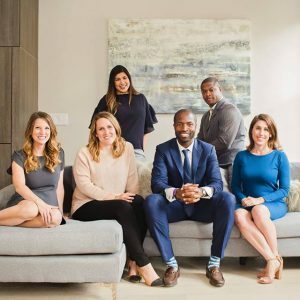 This team is known for helping their home buyers save a big amount of money with their home purchase, and they are absolute experts when it comes to marketing a home for sale. You can count on them to find you the best deal out there! 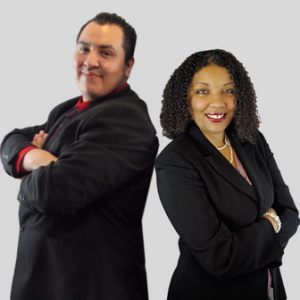 Team Brown Vegas consist of licensed real estate professionals who are ready to make your real estate wish a reality! They are energetic, driven, determined and fully passionate about what they do. Feel free to contact them on their social media pages. Everyone at Team Wycoff are truly amazing! They seek to make you part of their family and strive to make your real estate experience easy and enjoyable. Their outstanding reviews describe that each member is dedicated and caring. If you’re looking to buy or sell a home, be sure to check out their Facebook page for more information! 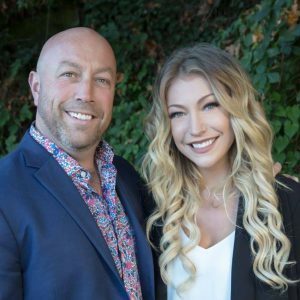 Michael and Carlie Smith are harding working and go above and beyond when it comes to real estate. This father-daughter duo are a dedicated and energetic team who are overall great to work with. 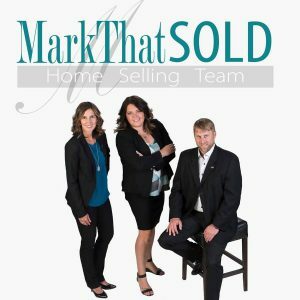 Stop by their Facebook page for daily posts about listings, open houses, and more. 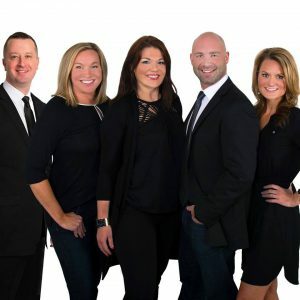 Rob Kittle and his team at Kittle Real Estate are a group of knowledgeable and dedicated professionals who strive to help you find your perfect home or sell your current one. If you’re interested in partnering up with Kittle Real Estate, head on over to their Facebook page for to see beautiful listed homes as well as helpful blogs and tips. 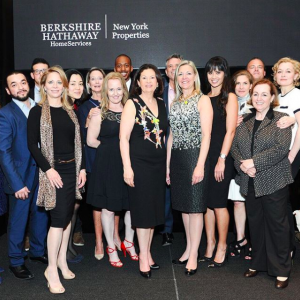 The team at Berkshire Hathaway are committed to providing outstanding services by following their core values. 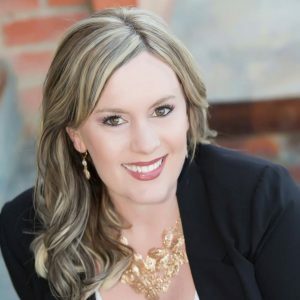 Their CEO, Candace Adams has been twice named among 100 Most Influential Real Estate Executives by Real Estate Executive magazine. Head over to any of their beautiful social media pages to find out more about their team and their services. 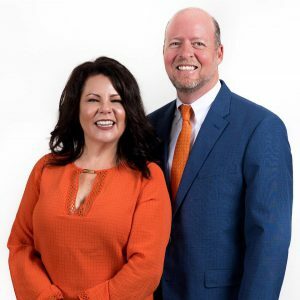 Julia and Jack McNulty are ranked in the top 10 out of over 500 realtors in Williamsburg, and have an extensive understanding and knowledge of real estate in Williamsburg and surrounding areas. Don’t forget to check out their Facebook page for open houses, listings, and even interior design tips! 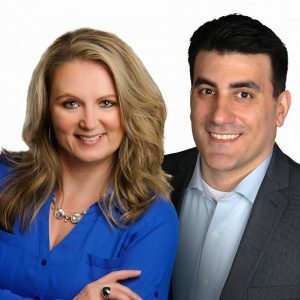 Tony and Nicole Tudisco are award winning real estate agents who both have a strong passion for this industry. They are determined to helping their buyers find the right home at the right price, and determined to helping their sellers negotiate when it comes to selling their property. Go visit their Facebook page to find out more! 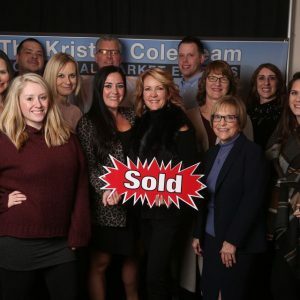 The real estate agents at The Irons Team are committed to building an honest relationship with their clients, allowing them to feel confident, and exceeding their expectations when it comes to customer service. Make sure to stop by their Facebook page to see beautiful listings, open houses, entertaining blogs! The agents at The Wood Team are a group of hardworking and dedicated professionals who understand the ever changing real estate market. 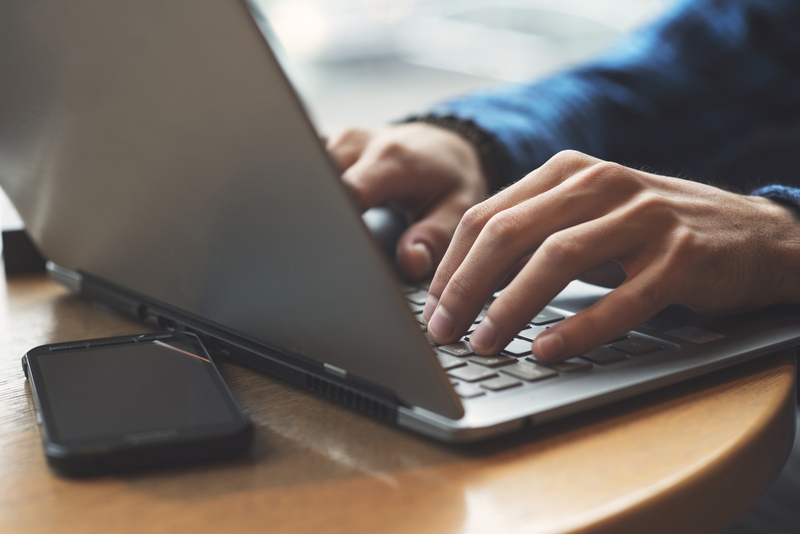 They make sure their clients have as much information as possible so they can make well-educated decisions when it comes to buying or selling their home. so, what are you waiting for? Visit their Facebook page now! 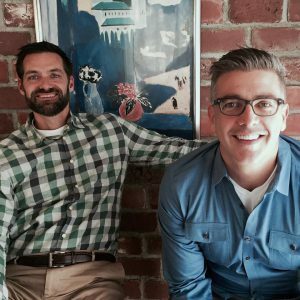 Rob and Sean from 2roofs Real Estate Team are committed to ensuring that your home buying or selling experience is pleasurable and meaningful. Not to mention, after each transaction they give a portion of their commission to a non-profit organization that will help out someone in need. Check out their Facebook page now! 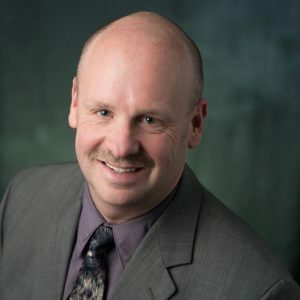 Craig Fallico and his team have 37 plus years of experience in the real estate industry and have helped thousands of people reach their real estate goals along the way. They have built their success on hard work, integrity, and honesty. Stop by their Facebook page for daily posts on their newest listings and much more! 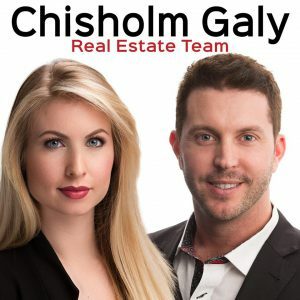 Jeff Chisholm and Claudine Galy are a dedicated and passionate real estate team. 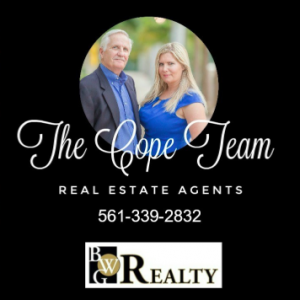 They combine their numerous years of experience in the real estate field to provide their clients with the very best service. Head on over to their Facebook page for daily posts on new gorgeous listings and open houses. 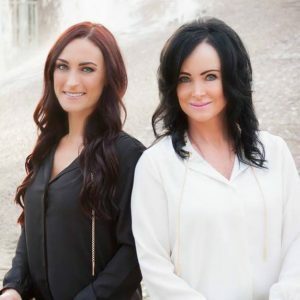 Alishya and Christine Sibbo are an unstoppable mother-daughter real estate team. 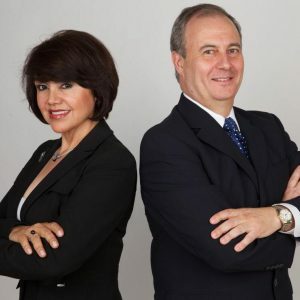 Between the two of them, they have years of experience in the real estate field and have a great understanding and knowledge about their area. They are ready and prepared to help their clients make one of the biggest investments of their lives. 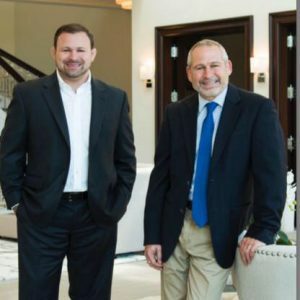 Ronald Shore and David Hitt are well experienced and knowledgeable professionals who treat their clients’ needs as their top priority. They have received countless testimonials about the wonderful service they provided. Stop by their Facebook page for updates on their home listings. 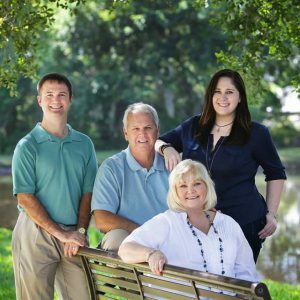 At Liz Carter & Team Realty, their goal is to help you find a home with the least amount of stress possible. 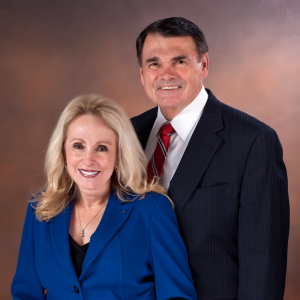 They are a family-run company with over 40 years of experience in the real estate business. Check out their Facebook page for more information. 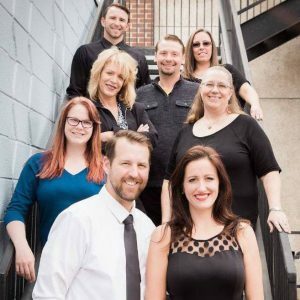 The Treasure Davis Team is a group of dedicated professionals geared with expert knowledge and innovation when it comes to buying and selling homes. This team will definitely exceed your expectations and will be with you for every step of the way. See their fabulous listings and head on over to their social media pages! Al Hoekstra and Tyler Reiss take great pride in serving the people of Buffalo by providing them with the highest level of service. 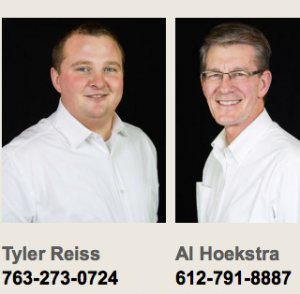 Whether it’s to offer advice or market information, Al and Tyler will work hard to exceed your expectations and meet your needs. Don’t forget to stop by their Facebook page for their listings or open houses. 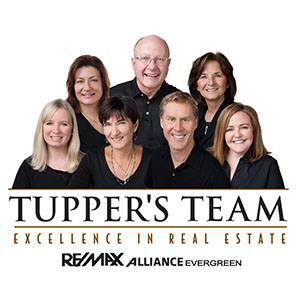 Tupper Briggs and his team of hardworking and honest professionals serve their clients to ensure that their real estate dreams are realized. 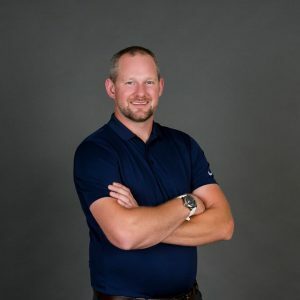 From helping first time home buyers to experienced sellers, Briggs and his team will provide you with the service you need to make sure your time in the real estate market is enjoyable. Head over to his Facebook page for daily posts on listings, open houses, blogs, articles, and more. You’ll be amazed when you scroll through this team’s social media pages! The homes they have listed are charming and beautiful and of the best quality. 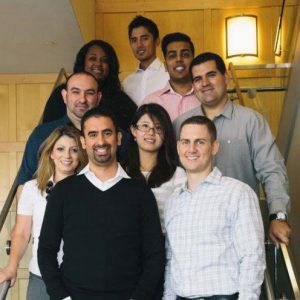 This team consists of award-winning, hardworking people who put the needs of their clients first. To find out more, drop by their Facebook or Instagram pages and leave a like or two! 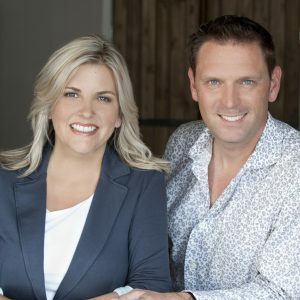 Robert and Lisa Measer are a couple of real estate agents who are devoted to their clients in every way. They pay exceptional attention to detail, have outstanding marketing plans, and are always there for their clients and ready to answer any questions they may have. Visit their various social media pages to see the beautiful homes they have listed. With over 50 years of years of experience, the MN Real Estate Team provides a wide range of real estate services for their clients. 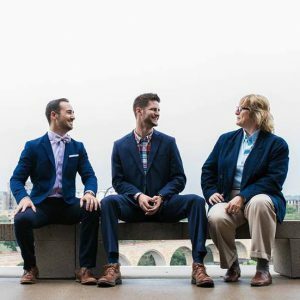 Whether you are a first time or experienced home buyer, the MN Team has the knowledge and experience in each of these fields. So go check out their social media pages to find out more about them and what they can offer you. 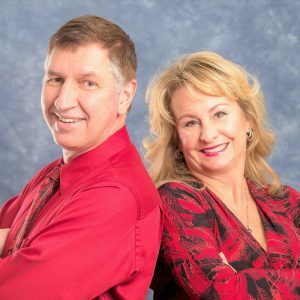 Kimberly and Daryl’s dedication towards their clients is like no one else; their known to go above and beyond in order to ensure their clients are satisfied. Don’t forget to stop by their beautiful social media platforms for more information! Highly recommended by many of their clients, the May Team is full of individual real estate agents who are fully committed to what they do. Their service are fast yet doesn’t lack quality, the team works collaboratively and tirelessly to achieve remarkable work. Keep it up The May Team! 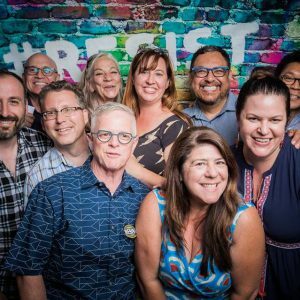 Amy and her team make an outstanding group. Amy is an ideal team leader, she is packed with the business knowledge, honesty, compassion and devotion. With such an individual leading the team and all the efforts and contribution of other team members, it isn’t surprising that they developed into a successful and reputable team in the real estate world. 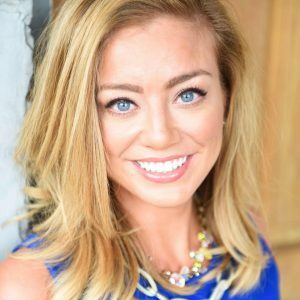 As a team leader, Monica seeks to make herself and her team available for their clients. 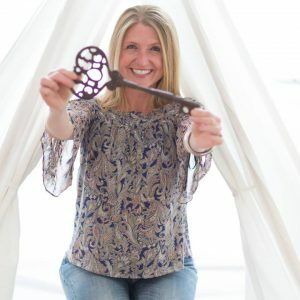 She has been featured in the magazine and real estate radio show, furthermore, she published a book about doing real estate deals in her area and she is a valuable contributor and sponsor for numerous charities. There’s no a doubt that a team led by her is likewise fabulous! 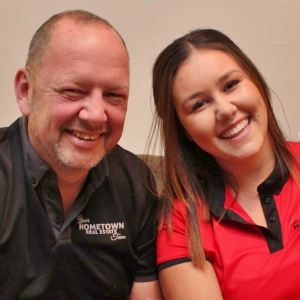 Danielle Dowell’s team is truly impressive and extraordinary, especially when facing difficult situations, they are always capable to find ways to solve it in the best way possible. Danielle uses the city’s finest resources to provide her clients with the most desirable effects. Do not forget to check on the team’s magnificent page! 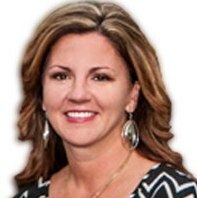 Finding a new home becomes a smooth process with the Jamie Hering Team! They go extra miles for their clients and finish the work with impeccable results! The team’s page not only contains superb listings but also entertaining videos about real estate. 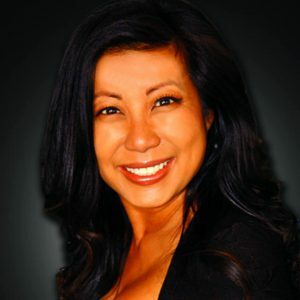 As a valuable real estate team, Jamie and her team are doing an excellent job! The clients served by Jason and his team couldn’t be any more pleased! The clients were highly impressed with their efforts and brilliant market tactics. Additionally, they also appraised Jason on his logical and realistic problem-solving. It is obvious that the team is a highly-recommended one! 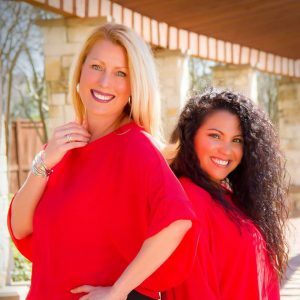 Helpful, trustworthy, organized, those are the traits the Parodi Team is known for, not only are they incredibly skillful, they are also a tremendous bilingual team that is always ready to serve you attentively. Alfonso Parodi, the team leader, is an ultimate expert and has thorough market experience. Way to go, Pardo Team! The True team is well-known for their remarkable negotiation skills, attentiveness and persistence. Their Facebook page reviews are flooded with compliments from their customers, they are told that their magnificent and competent works made the real estate experiences the best ever! Contact them if you ever need to make a real estate deal, you will definitely be satisfied! Adriana and Tracy is a competent duo. Tracy is an outstanding negotiator and marketer, while Adriana is a luxury home expert. 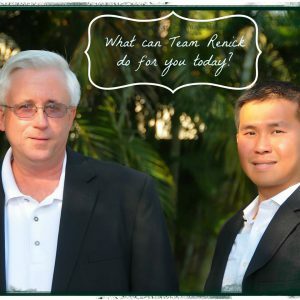 The two real estate agents work together and their teamwork is super! The luxury homes in their listings have truly breathtaking views! Go onto their page to see for yourself! 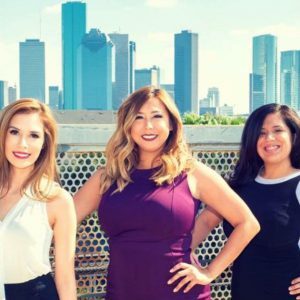 The Barraza Team has a unique approach to the real estate business. Not only because they manage to organize stunning home listings, but they are also great at organizing events! Visit their Facebook page for details on the events! At the BREL Team, amazing customer service is key. When you choose them to be your real estate team, they promise to be responsive and answer any questions you may have. If this sounds like the right team for you, you can go onto their Facebook page for more information or see the gorgeous listings they have. 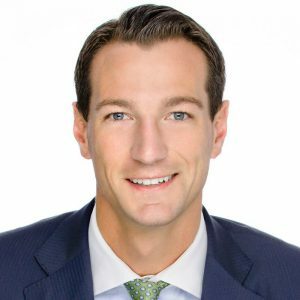 Brian Phillips launched his team back in 2012 and since then his team has been named in the top 10 real estate teams in NYC at Douglas Elliman Real Estate. Brian and his team can help you with your real estate needs, whatever situation you are in. Go see his team’s Facebook page for open houses, listings, articles, and more! 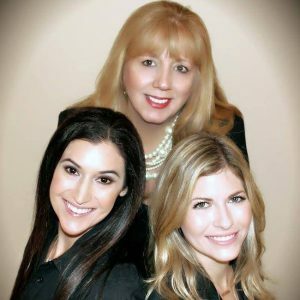 Gina Tufano and her team know that buying or selling your home is a big commitment and can be nerve racking, but the agents at Team AGC are determined to answer any questions you may have and strive to make your real estate experience seamless and enjoyable. To find out about their listings or open house information, go to their Facebook page! 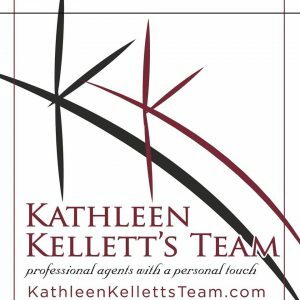 Kathleen Kellett and her team are all about building relationships and helping others. They work hard to ensure that their clients have a pleasurable and exciting experience when buying their new home. Feel free to contact them through their Facebook, and while you’re there maybe even leave a like or two! The agents at Team Colorado are professionals who aren’t afraid to go above and beyond for their clients. They are exceptionally organized and aim to make the process easy for their clients. Head to their Facebook page for stunning listings and helpful blogs and articles that will make your home buying experience much easier. At The Criscito Team they believe that knowledge is power, and for this reason they make sure to stay on top of market changes so they can provide the very best service for their clients. 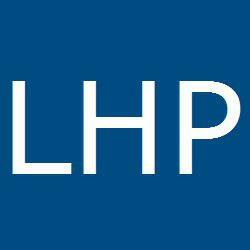 If you’re interested in their luxury properties go visit their Facebook page for absolutely listed homes. 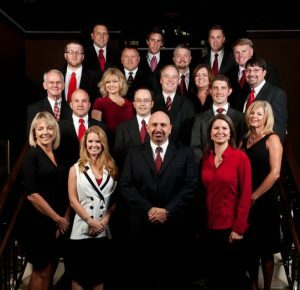 Dean Moss and his team are a group of well-established real estate agents who work in your best interest. They will acknowledge any concerns or questions you may have, and will take the time to answer them all. Don’t forget to stop by their Facebook page for daily posts on their current listings and tips and advice for any homeowner. Team Emanuele was founded by Richard Emanuele in 2009. The team consists of professionals who aim to help buyers and sellers fulfill their real estate expectations. The team uses social media to constantly publish relative information and engage with its large audience. Check them out now! Kath Hammerseng is the principle real estate agent in Team Kath. The team has esteemed real estate experts who deal with clients in a professional manner and their positive reviews are proof. The team makes sure to provide their social media followers with content that will help potential home buyers/sellers make a good decision in home investment. 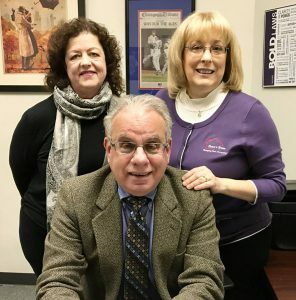 Rosemary West Team is headed by Rosemary West and is located in Naperville, Illinois. The team has had successfully closed deals which have enabled it to rank among the top-rated teams. 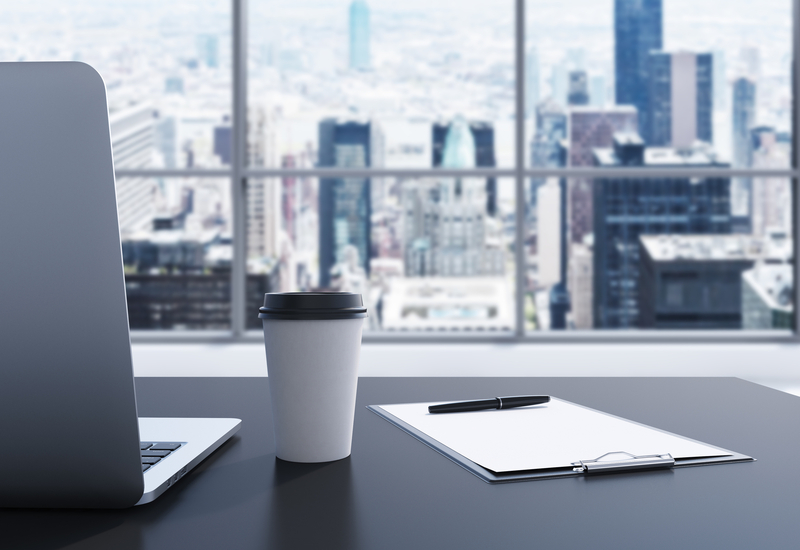 They are effective when it comes to keeping their large social media audience updated on recent developments regarding their firm. 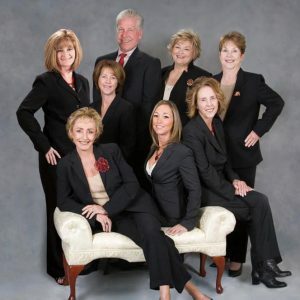 This team is exceptional for their satisfactory services to clients looking to buy or sell homes. The team has esteemed specialists who work together and hand-in-hand with their clients to meet their clients’ requirements. They have prominent social media accounts where their large audience is regularly updated on their recent deals and content information. The Rivera Team has esteemed professionals who work together with their clients to fulfill their expectations. Their online presence on social media is active to ensure that their numerous followers (over 5,100 on Facebook) are in constant awareness of their latest deals and relevant information. 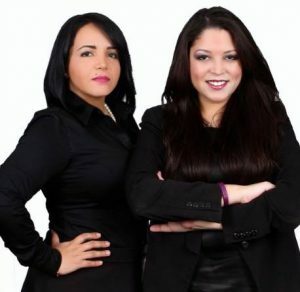 This team is located in New York City and co-founded by Jennifer Saavedra & Renatta Paz. They have an elaborate team of experts in real estate who understand their clients’ needs and provide personalized services to ensure customer satisfaction. They are active on social media and keep their audience up-to-date with relevant information! This is a team owned and led by Gary Ashton and has led his team into becoming the #1 team in Tennessee real estate teams and the #2 REMAX Team worldwide! Given their use of the Internet to their advantage, they make sure to be ever present in their social media accounts to engage their followers with constant communication and feedback! The Team Diva Real Estate has achieved numerous successful sales and clients who have interacted with the team. Their online reputation has enabled clients to gain confidence in the team and eventually work with them. They have several established social media accounts to which they engage their followers and keep them up to date with their successful deals. 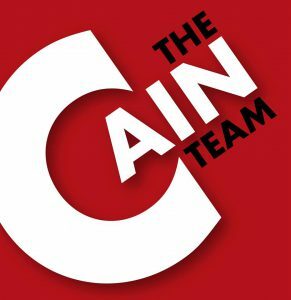 The Cain Team’s successful performance has made it rank among the top real estate teams and also gain a positive online reputation. The team aims to provide world-class services to property buyers or seller. They are ever present on social media where they constantly update their large audience with their latest deals and also engage with them. 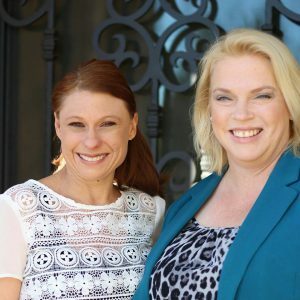 The Cherie Resource Team helps buyer and seller to meet their real estate expectations and also provide advice to potential clients and helping them make rightful decisions over their real estate needs. The team also has a strong social media presence and they make sure that they are in constant connection with their audience and give effective feedback. 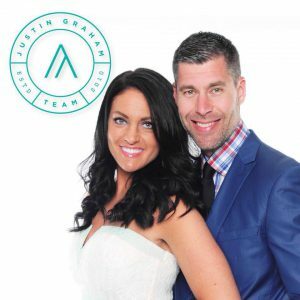 Under Justin and Sarah’s lead, the Justin Graham Team never fails to meet and go above the clients’ expectations. They are a highly admirable and motivated group who enjoy what they do. We’ll say they are absolutely recommended and you should check them out on social media! 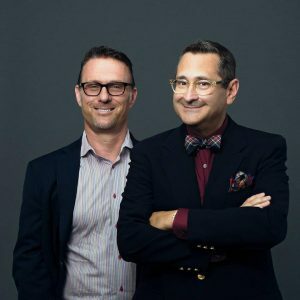 Co-founded by Michael Stanco & Michael Misiti, this team is committed to being the link between potential buyers and sellers. They are also established on social media with numerous followers and they keep their sites updated with recent content to ensure that their followers never miss out on important real estate information. Trevor Moore Team focuses on finding the highest value in their transactions to ensure that clients’ can achieve their real estate needs. 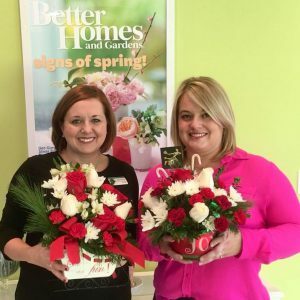 They have prominent social media accounts where they connect with their followers and give prompt feedback and keep them updated gorgeous new listings! 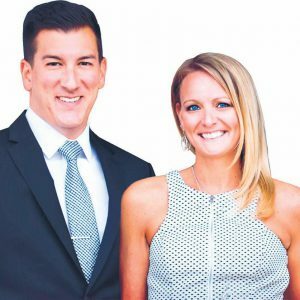 The Kiss Team has several years’ of experience in the real estate industry and are well aware of what their clients require hence providing exceptional services. They are well established across social media platforms such as Facebook, where they have over 6,600 followers. They ensure that they provide content information to their followers to keep them updated. 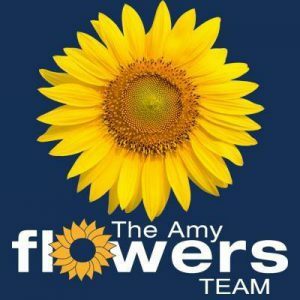 The Amy Flowers Team aim to provide top-notch services to their clients. Buyers and sellers have confidence in this team’s ability to work on their expectations and deliver great results. This team never fails to constantly publish recent information on their social media platforms and ensure that their followers are up to date with the firm’s progress. 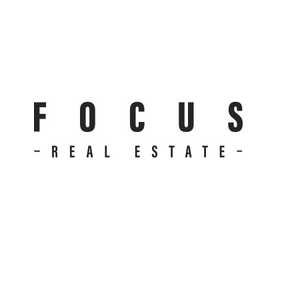 The Focus Real Estate team’s aim is to provide their clients with a concierge experience in home buying, selling or leasing. They are very active on social media and never fail to constantly update their Facebook and other social media platforms to ensure that their followers never miss on great deals and important information. 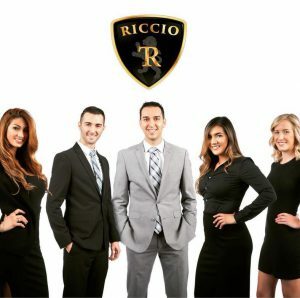 The Todd Riccio Real Estate Team has an established team of experts where they bring a client’s real estate needs to fulfillment to surpass the client’s expectations. You can find them on social media where they use their Facebook, Instagram and Twitter accounts to engage their clients and publish their newest information to keep followers up to date. 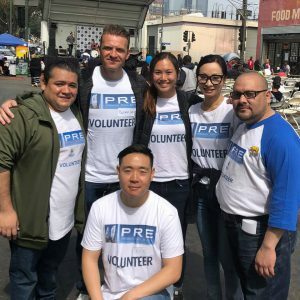 Premier Real Estate is a group of professional real estate agents focus on helping buyers find their dream homes and help sellers in their home sales. 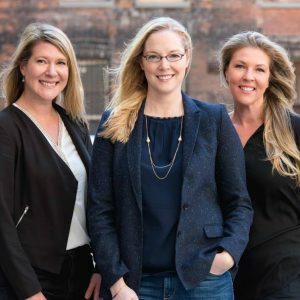 This team has a positive reputation online and constantly use their established Facebook account to engage with clients while keeping their large audience informed on their latest deals. 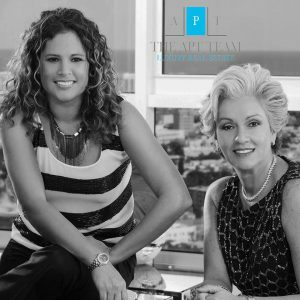 Your Miami Team works towards fulfilling their clients’ requirements and ensuring top-notch customer service and this is why they are among the best real estate teams. They have a prominent Facebook page and they use it to constantly publish information and the latest deals to ensure that their audience is updated and does not miss out on important content. 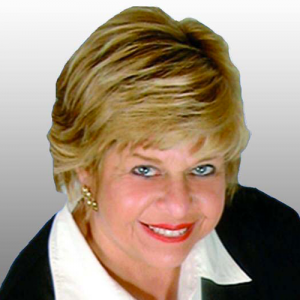 Carli Simon is a top real estate agent and together with her team, The Simons Group, is dedicated to ensuring that their clients receive utmost satisfaction for their real estate needs. They have a strong social media presence in Facebook where they keep their audience informed and offer prompt communication and feedback to their followers. 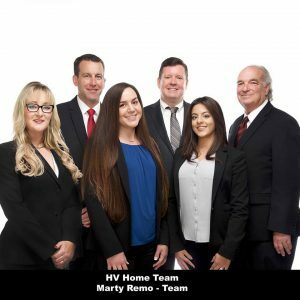 The HV Home Team is a team of licensed real estate agents who enable their clients to get the best deals out of their real estate needs. They have over 10,300 followers on Facebook and use this and Twitter platforms to provide recent content to their numerous followers and ensure prompt communication. 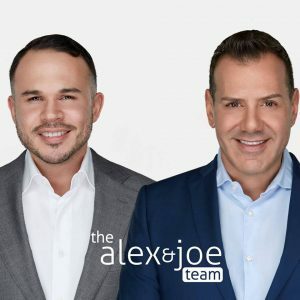 The Alex & Joe Team have previously made successful sales and has a group of real estate professionals who do not overlook any details in order to deliver ground-breaking marketing to its seller/buyer clients. They have an established online presence on social media platforms where they keep constant engagement and updates with their numerous followers. 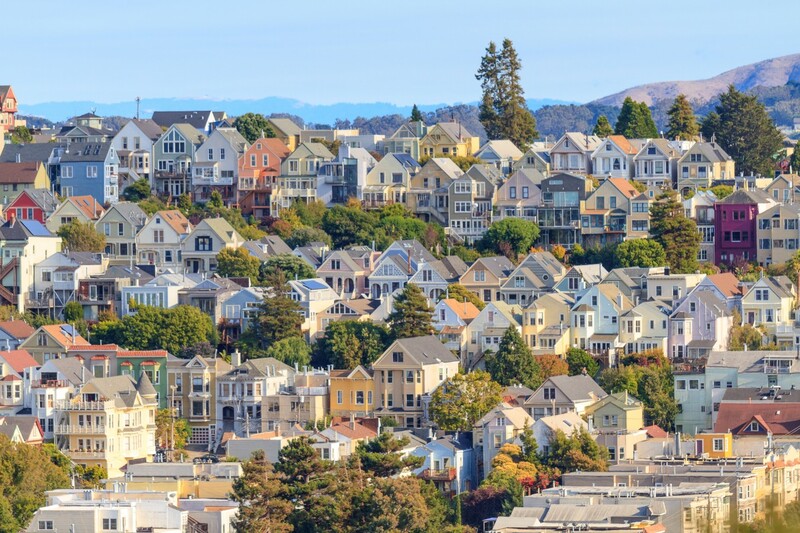 Led by Rob Golfi, this team is dedicated to helping buyers find a home in a suitable neighborhood while helping sellers make the most of their home sales in short periods of time. 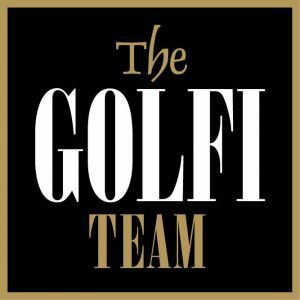 The Golfi Team also ensures that they provide prompt communication to any queries and use their established social media pages to keep their followers up to date! Christine Cowern and her team are based in Toronto, Canada. They focus on both buyers and sellers and their established team of specialists believe in providing the best customer experience and marketing exposure to its clients. They have successful Facebook, Instagram, and Twitter pages where they never fail to update their followers on new information or interesting deals. 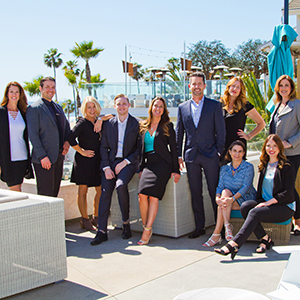 First Team Real Estate is headed by Cameron Merage and is one of the top real estate teams in Southern California. They focus on dealing with providing their clients the most sales volumes in home sales. They also utilize their established social media platforms to reach out to potential clients and engage with their audience. 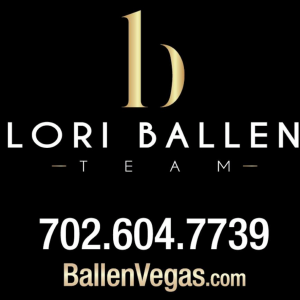 The Lori Ballen Team’s ranking as one of the top real estate teams comes as no surprise since they work diligently and provide quality customer services to their clients. The team uses their social media profiles which have a large audience to engage with clients and provide new and interesting information or deals. 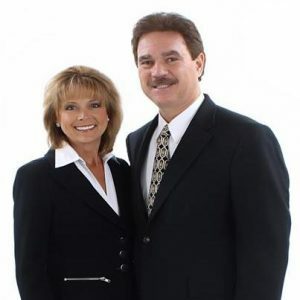 The Panozzo Team consists of a team of professional real estate agents that is led by Kim and Dave Panozzo. Clients who have worked with the team always have positive reviews. They have a strong social media audience in Facebook, Instagram, and Twitter with whom they constantly engage and provide interesting content and information. This top-performing team provides its clients with an unparalleled exposure that surpasses their expectations to ensure client satisfaction. 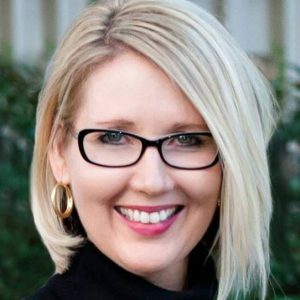 The Jody Clegg Real Estate Team has hardworking and diligent specialists that deal in client servicing. They also deliver new and interesting information to their well-established social media accounts! Visit their pages now! The Lombardo Real Estate team have plenty of successful deals which rates them among the top real estate teams in the USA. 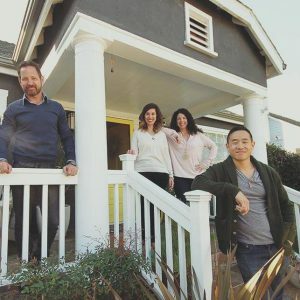 With more than 5,600 Facebook and 8,100 Instagram followers, the team manages to reach its huge audience and uses the social media platforms to deliver information on new listings and successful sales. The Louisville Real Estate team is among the best real estate teams who offer exceptional home consulting services and specialize in dealing with clients seeking home buying or selling. 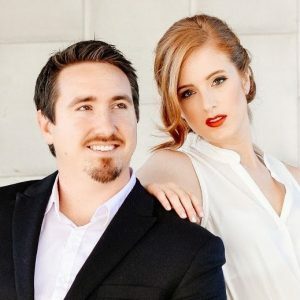 They have a successful Facebook profile which is followed by more than 15,100 users and only has nothing but positive reviews from previous clients. 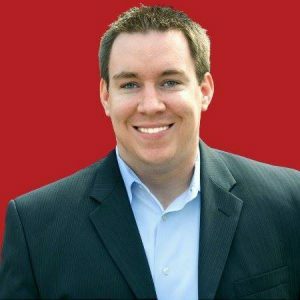 This team is founded and led by Ryan Smith who is also a real estate broker. The team’s reputation is not only to make and close transaction deals but also they provide their clients with professional advice on investing in a home. Clients can engage with them on their Facebook page, which has over 6,100 followers or view their Instagram profile which has over 9,000 followers. 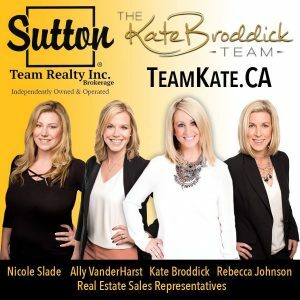 The Kate Broddick Team has been ranked as the best real estate team in Brantford since 2015. The team specializes in listing homes for sellers and finding prompt buyers and work efficiently to ensure satisfactory services towards their clients. They have prominent social media pages which are being used successfully to get in touch with their clients! 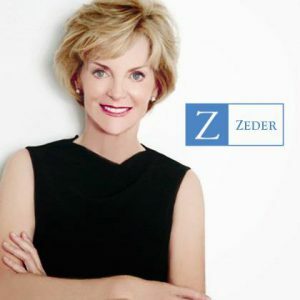 Led by Judy Zeder, this team has gone ahead to be ranked among the best three real estate teams in Miami-Dade, and among the best Florida real estate teams. 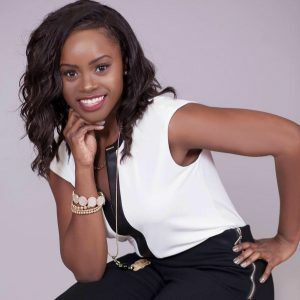 They use their social media platforms, which has garnered thousands of followers to constantly engage their current and potential clients, who always leave a positive review after a successful deal. 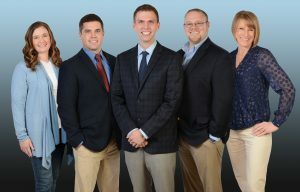 This team is headed by Seth O’Byrne and has been providing excellent services in real estate for less than 12 years yet is among the best real estate teams in the USA. 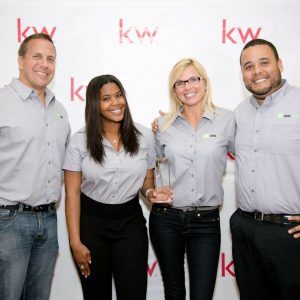 The team got first place in the number of the deals closed in 2013 and has continued to thrive. Follow their Facebook and Instagram pages, where they keep their audience up to date with interesting content. 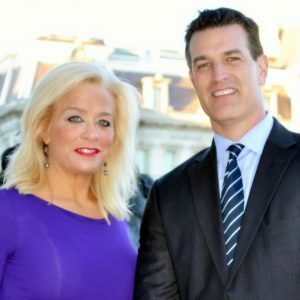 Monica Shea, together with her husband Ryan Shea head the Monica Shea Real Estate Team. The team consists of dedicated agents that provide a “personal level” services to ensure client satisfaction. The team uses their established Facebook page to provide new information about the team, their listings, and sales. It’s definitely worth taking a look at their social media pages! 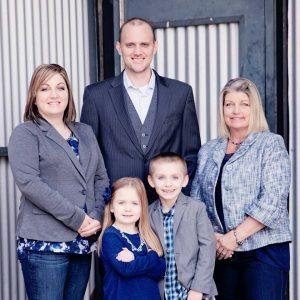 Founded by Adam Olsen, this real estate team is rated the best real estate team in Huntsville, Tx and also has office’s in downtown Houston and Spring, Tx. The team consists of experts who provide exceptional services to their clients. Their social media presence is impressive, with positive online reviews ensuring potential clients a wonderful experience while working with them. The Ben Kinney Real Estate Team has a number of agents that work together and effectively to help their clients sell their homes at a profitable price and within the shortest period of time. The team is also recognized among the top 25 exceptional teams in the USA by The Wall Street Journal and Real Trends. Way to go! 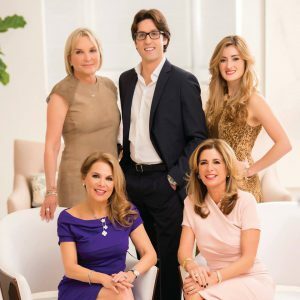 The Jills at Coldwell Banker Residential Real Estate was co-founded by Jill Eber & Jill Hertzberg. The team performs real estate transactions in South Florida and is ranked the best in Florida. They are also found on social media platforms, with an impressive Instagram page showcasing gorgeous listings in Florida. Visit their social media pages now! This successful real estate team seeks to provide an extraordinary experience to its buyers and sellers. 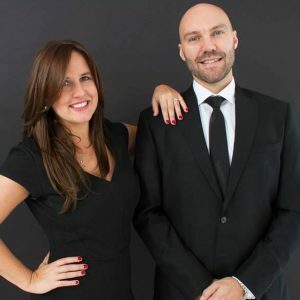 They have a prominent Facebook page with over 88,400 followers, and their Instagram and Twitter following is also high and in which they use to engage with their clients and help them to find or sell a property. Tarek & Christina El Moussa co-founded Real Estate Elevated, situated in Las Vegas, Nevada. This is an educational real estate program that focusses on investment training to enable learners to find properties and undertake wholesale deals. They use their social media platforms to provide educational information to their clients and even potential clients who would like to undertake investment training. This team was founded by Ryan Serhant who also currently heads it. Ryan’s team has a current #1 rank for deals closed in Manhattan and #5 for sales closed in Brooklyn. 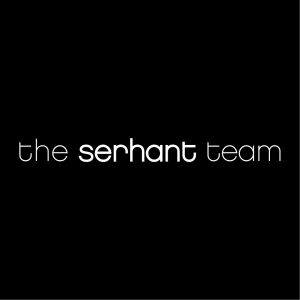 The Serhant Team is well established on social media with over 760,000 followers on Facebook, Instagram, and Twitter in which they use to keep their clients up to date with recent information on property listings and amazing-sales deals. No wonder, they are the top real estate team on social media! We hope you enjoyed our list of the Top 100 Real Estate Teams On Social Media In 2018!